The prosperity of every community is tied to economic development. At Townfolio, we’re familiar with the struggle that economic developers face every day. Trying to procure and develop investment for, and to attract new business to their community. It’s sales, just like in any other industry, which means the problems they face, while unique in some ways, are also similar to other industries. And that means there are tech solutions already available to help. The general function of a CRM (Customer Relationship Management) platform is to help the salesperson, or in this case, an economic developer, to streamline their daily sales activities. This can mean anything from organizing and storing important contact information for prospects, all the way to creating and automating strategic marketing campaigns. The above list only scratches the surface of the many affordable, even free, CRMs available out there. As you familiarize yourself with the CRM you eventually choose, you’ll be getting access to advanced marketing and sales techniques. It will soon be obvious to you why the largest and most profitable companies in the world rely on CRMs for their sales and marketing goals. So now that we’ve discussed the value of CRMs, the next step is to get started with a particular one. Luckily for you, the team at Townfolio has extensive experience in economic development, sales processes, and technological platforms. So we’ve gone and procured a few of our favorite CRMs, particularly useful for economic developers like yourself. 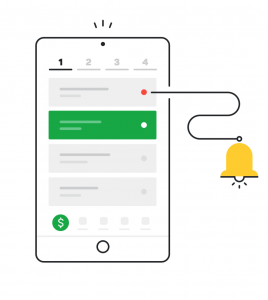 Built from the ground up with you in mind, ED Lead Tracker is a modern, web-based, mobile friendly system designed to be affordable, simple and powerful. It’s designed with small organizations in mind, who are looking for an affordable system that doesn’t bind them to an enterprise-priced product. Best of all, ED Lead Tracker is specifically for economic developers, so you know you’ll be getting product tailor-made for your daily activities. HubSpot offers a full stack of software for marketing, sales, and customer service, with a completely free CRM at its core. They’re powerful on their own — but even better when used together. 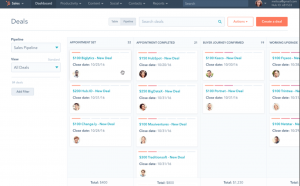 The Hubspot CRM has everything you need to organize, track, and build better relationships with leads and customers. This is the CRM we use at Townfolio and is trusted by many of the largest tech companies around the world. Capsule is ideal for Economic Development offices with larger teams. 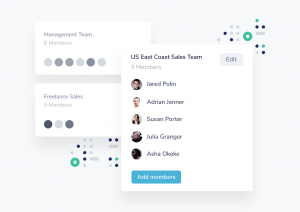 This CRM allows economic development managers & directors to segment their teams to give them a clearer view of what different teams are responsible for and what they’re working on. The team at Townfolio understands how busy economic developers can get. From traveling to conferences, meeting with potential investors and businesses, and visiting sites, economic developers are rarely stagnant. Which is why the Pipedrive CRM has a mobile app that allows you to access your deals and contact information even when you’re on the road. So there you have it. A pre-approved vetted and verified list of some of the best CRM’s available to you at either a low cost or perhaps even free! We strongly recommend you consider using a CRM to take your economic development strategies to the next level.